With "In between", this is the 9th album that Isabelle Olivier presents at the Café de la Danse in Paris. A milestone always so fine, joyful and playful. 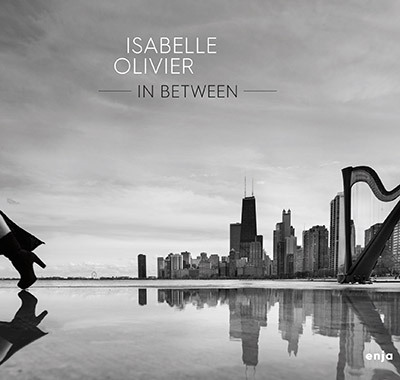 "In between" offers an intimate, rich and very subtle sound exploration. 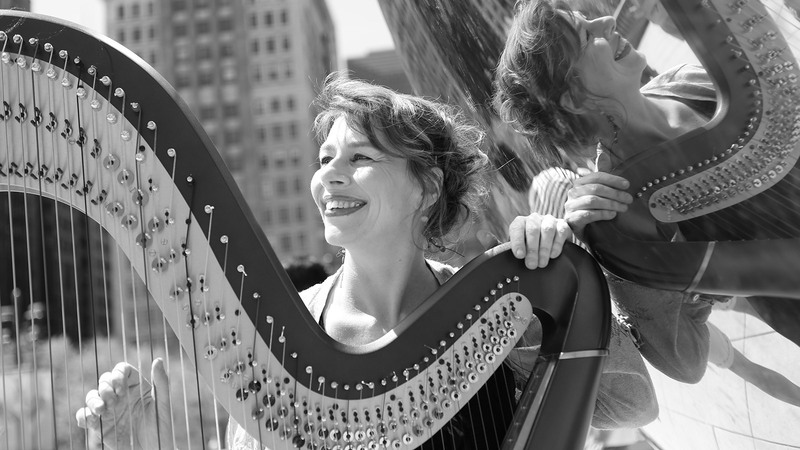 Jazzwoman, composer and harpist with a strong musical personality, Isabelle Olivier brings a wave of freshness and novelty to the international scene by imposing a surprising and lesser known instrument. Surrounded by exceptional young musicians, she takes you into a magnificent world of humanity. "I thought ‘In between’ as a form of an ‘artistic permaculture’. Each piece tells a story. Consistency is naturally required. The evidence of this synergy is my thought. I am passionate about the process. I look forward to sharing it with you!" 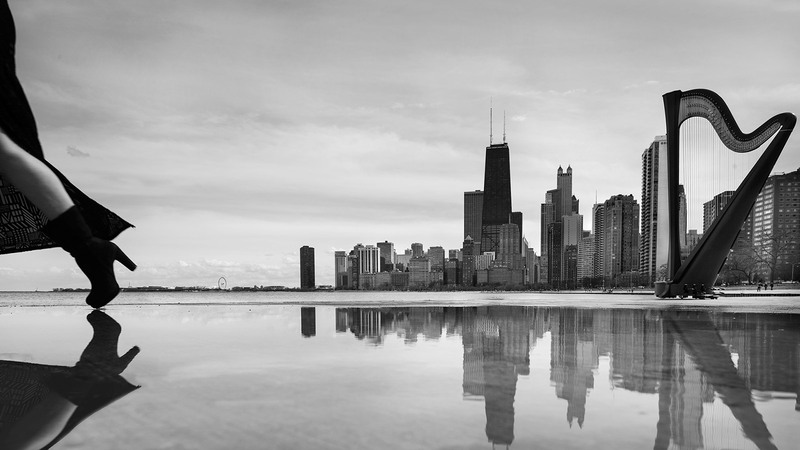 Thrilled to be back to Chicago after four months touring in Europe and Japan. 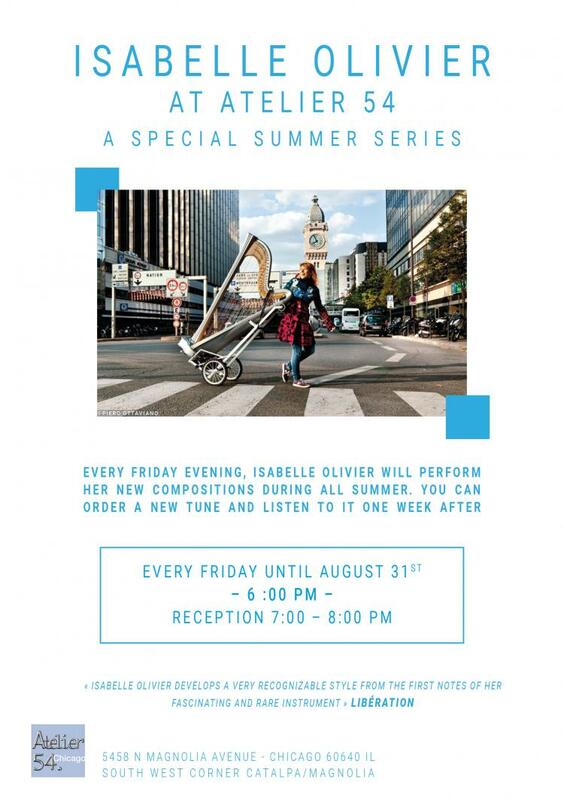 I am pleased to present a summer series "Isabelle Olivier at Atelier 54" in Chicago to introduce new music. 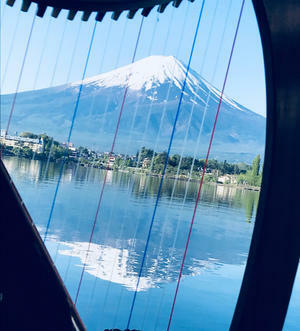 It is an interactive challenge and you can order a new composition and I will play it for you one week after. Happy to be a part of the program “Nigh out in the park” for two events including one with Jean-Yves Cousseau a French photographer and visual artist.